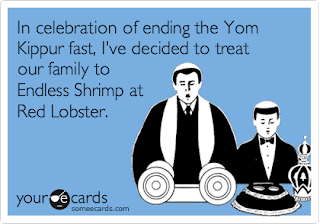 Today is Yom Kippur, the Jewish Day of Atonement, the day on which we make peace with God for all of the sins we’ve committed over the past year. On Rosh Hashanah God writes each person’s name in Book of Life. Over the next 10 days, Jews seek forgiveness for wrongs done against God and other human beings. During Yom Kippur, each individual makes their personal petitions to God, and hopes for forgiveness for the upcoming year. If all goes well, when God closes the Book of Life at the end of Yom Kippur, your name remains and your soul is safe for another year. I explain it to my Catholic children like this. Catholics (are supposed to) confess their sins each week. Jews save them for Yom Kippur and get it over with all at once. I haven’t broken the chicken swinging to them yet; they’re not ready it (I’m not sure I am, or ever will be, either). In the spirit of today’s holiday, I thought I’d share some common sins I see employers committing all of the time. Think about those of which you may be guilty, and use today as your time to commit to fixing your ill(s) in the coming year. Capping an employee’s medical leave. Believing that only big businesses get hacked. Let me know in the comments, or on Twitter with the hashtag #employmentsins, the labor/employment sins for which you are atoning this year.